Did you know that in India more than 72% of entrepreneurs are under 32 years of age? A large chunk of startups in our country operate in the tech space, and even though the funding may seem to have doubled over the years, many investors are actually withdrawing from overfunded sectors. The trend forces the need to relook at sustainable growth as a strategy. Notwithstanding the trials and turbulences of the startup ecosystem, entrepreneurship in India is slated to grow this year, moving beyond the fatigue and fragmentation of the past. What appears to be providence for a few also holds tremendous opportunities for several others. TiE Delhi-NCR, the world's largest network of successful entrepreneurs and professionals, hopes to facilitate all conversations around India's aspirations as a potential world leader and sustained, well-distributed growth of its vibrant economy, by bringing to you the much-awaited sixth edition of India Internet Day on April 7 at Hotel Taj Palace, New Delhi. 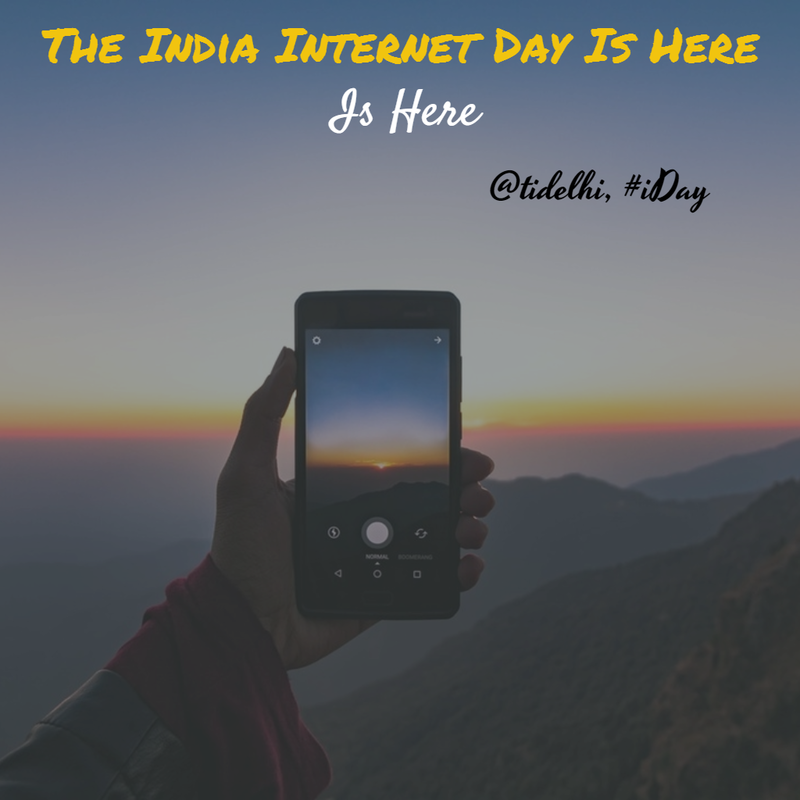 #iDay is India's largest Internet conference, conceived with the objective of helping startups strengthen their fundamentals and introducing them to new tools and perspectives while keeping the focus on achieving steady, sustainable growth. After a resounding debut five years ago, the one-day conference has grown from being 'relevant' to 'significant' to 'indispensable' for stakeholders across the startup ecosystem. With an audience of 700 plus, #iDay is hailed as a leadership conference that looks to set conversations around vision 2020 for the industry. By successfully hosting the who's who of this industry, #iDay brings together professionals from the Internet mobile industry in India like no other forum. Business bigwigs such as Raghuram Rajan (Gov RBI), Dave Goldberg (Survey Monkey), Sanjeev Bikhchandani (InfoEdge), Shashi Tharoor (Minister HRD, GOI), Deepinder Goyal (Zomato), Sachin Bansal (Flipkart), Kashyap Deorah (The Golden Tap), VSS Mani (JustDial), etc. have already facilitated the event. 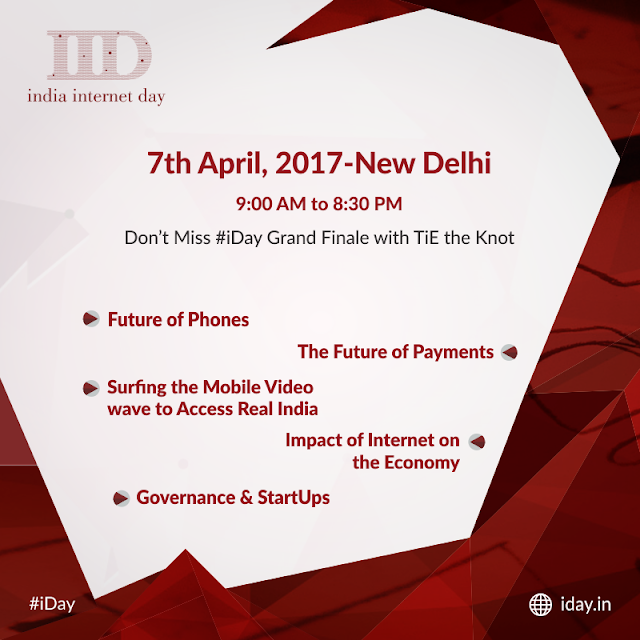 Confirmed speakers at this year's #iDay include Kalyan Krishnamurthy (Flipkart), Bhavish Aggarwal (Olacabs), and Vijay Shekhar Sharma (PayTM), who are going to throw some light on burning topics like Digital Payments, Mobile Video to Access Real India, and Innovation in eCommerce. 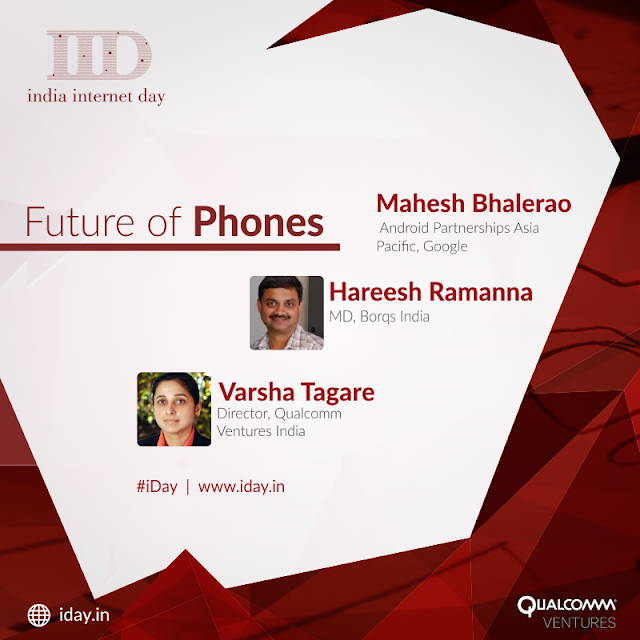 Another highlight at #iDay this year is a report on the 'Impact and Future of India's Internet Industry'. As the demonetization policy turns six months and the GST all set to bloom, and as unique sustainable models backed by innovative disruptors become the ask of the day, #iDay promises to be loaded with conversations that'll shape the future of our economy. Whether you're an Internet entrepreneur, investor, industry influencer, or technology enthusiast, #iDay is undoubtedly the single most promising business event of the year. Make a pit stop to learn how you can prep your startup for a dynamic, ever-changing business environment. 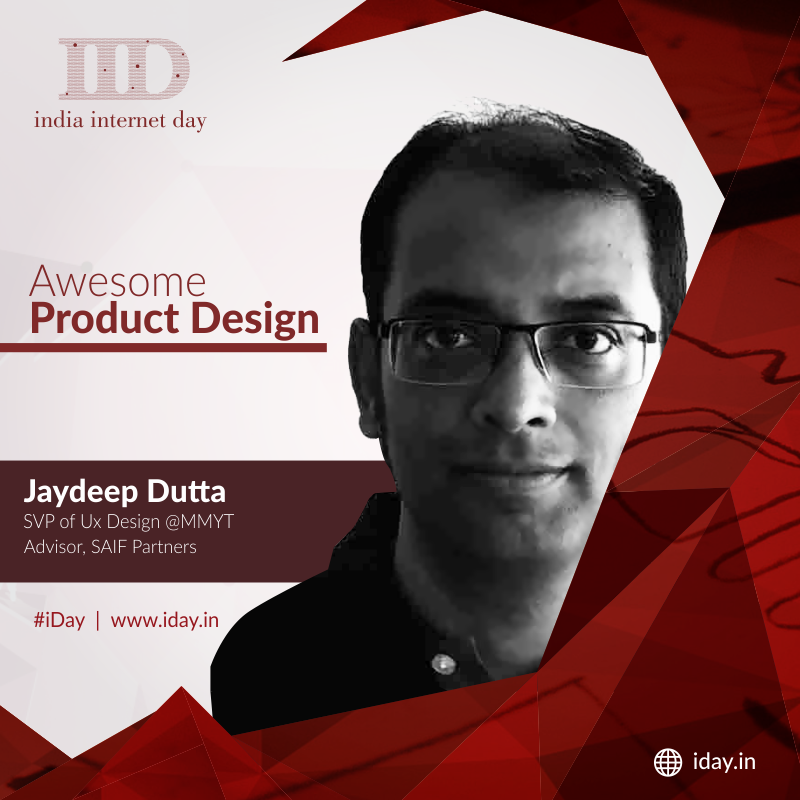 [To register for #iDay, log on to http://iday.in/ and enter the Promo Code: IID2016].